Honest pricing - All work will be explained clearly and the costs will be transparent. Quality work - Any repairs done will meet the high standard set by the RAC. Exceptional customer service - You'll find the service friendly, straightforward and jargon free. 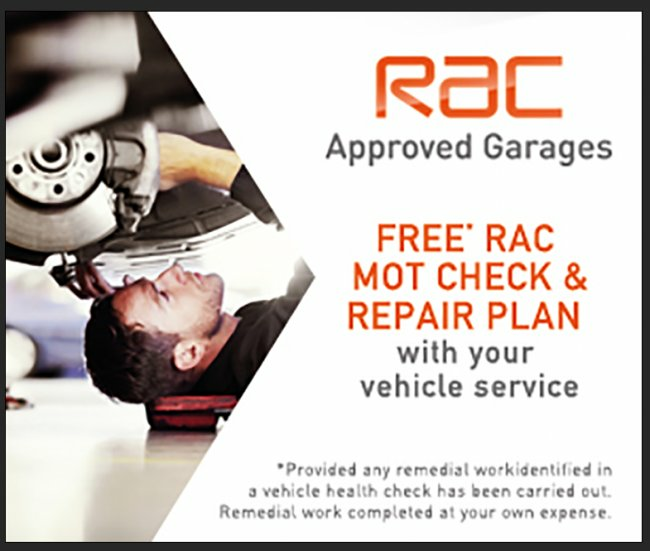 The RAC MOT Check & Repair Plan is free of charge. Peace of mind that if your vehicle needs repairs to pass its MOT, the plan will cover you for specific parts. Covers repairs up to a total of £750. A lot of roadside breakdowns happen because motorists skip essential vehicle servicing. Research conducted by the RAC has shown that 75% of motorists make no provision to pay for their vehicle servicing requirements, with a lot of motorists paying a large sum upfront for their annual service. 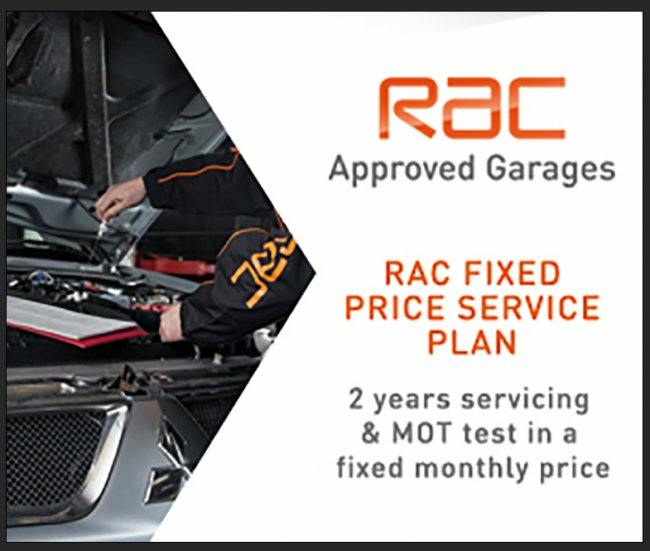 The RAC Service Plan allows motorists to break the cost of 2 years vehicle servicing and MOT tests in to a manageable monthly fixed price. The Service Plan is an easy way to budget for your car's servicing requirements, ensuring your car never misses a vital service interval so you get maximum life out of the vehicle.